The Music House Museum Silent Film Series presents Cecil B. DeMille's 1923 production of The Ten Commandments with accompaniment by Andrew Rogers on the Wurlitzer Theater Organ. Critics find the special effects even better than the later version and experiencing this with a live soundtrack is amazing. You will not want to miss this incredible early version of DeMille's classic film! 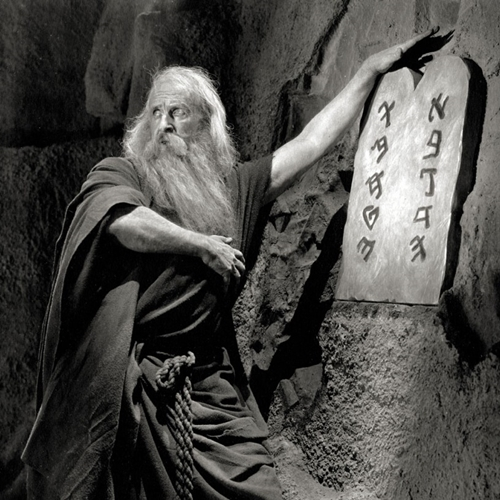 While many are familiar with the 1956 version of The Ten Commandments starring Charleton Heston, it is likely that few realize that this was a remake of Cecil B. DeMille's original 1923 version. Those familiar with the early version find the epic scenes even more impressive than the '56 version. These are made even more impressive when you consider the limitations of special effects in the 1920's. Unlike his later version, DeMille's longer early version includes two parts. The first is the epic story of Moses portrayed in the '56 version. The second is a modern tale of two brothers, one a good and hard working carpenter and the other a wealthy and greedy architect and developer. The allegoric nature of DeMille's first version are obvious and add a depth not found in the remake. This film will be accompanied on the Music House's Wurlitzer Theatre Organ by the brilliant organist, Andrew Rogers. A resident of Fenton, Michigan, Rogers began his musical studies on the accordion at seven, winning local and National competitions playing transcriptions of classical orchestral music. He later appeared in the orchestra of Broadway productions at Michigan State University where he holds his degree, with honors, in Psychology. He studied theater organ techniques with the late Fr. James Miller, and then augmented his studies with Dr. Marilyn Mason at the University of Michigan while she was on sabbatical. He accompanied Fr. Jim on his second tour of Australia and Norfolk Island, appearing both in joint concerts and solo engagements, also, traveling on two Historic Organ Tours led by Dr. Mason covering France, Italy, and Switzerland.